Dallas 2.0 inaugural season ends in much the same way as it began: with a reboot. JR (Larry Hagman) is back! And not a moment too soon as TNT’s Dallas kicks it into high gear with only two episodes left in its rebirthed inaugural season. So why does this feel like a season finale?! 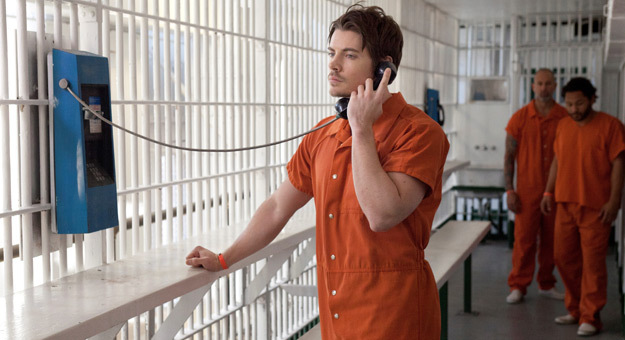 In the wake of last week’s arrest of John Ross (Josh Henderson), the Ewings scramble to work their respective magic and get him out. Except of course Elena (Jordana Brewster) and Rebecca (Julie Gonzalo)…because they’re useless. It’s our first mostly JR (Larry Hagman) free episode of the all-new Dallas, which gives us a sneak peek into what the show looks like without the elder generation of Ewings kicking around. So what’s the verdict? Lions and tigers and bears, oh my! This week’s Dallas had just a touch of everything. And thankfully the show didn’t forget to include some ridiculous eyebrow action after sending JR (Larry Hagman) away last week. Whew!